San Diego, the world famous finest city of United States on the coast of Pacific Ocean has mesmerizing reasons to be a hot spot for tourists from all over the world. Swathed in the tranquility of the finest weather throughout the year and limitless white sand beaches spreading beyond our naked eyes, clear waters and heavenly displays of Christmas lights in San Diego will certainly grasp your breath for a moment. Deadly beautiful and resonating with life, San Diego is a dream destination and tops the wish list of every avid tourist. Christmas is a time of great pomp and show in the city where cultural events accompanied by live performances, holiday tunes, dance music and world class cuisine can be seen all over the city. Apart from various fun and social activities, one of the very prominent attractions is the way this city decks up in Christmas lights during the festival. Families hang out in the neighborhood and stroll in streets to view how beautifully some homes are wrapped up in colorful and astounding light displays flashing with tunes of music to invite Santa to them. An age old tradition, the Christmas lights in San Diego dresses the whole city like a newly wedded bride and seems to celebrate life, hopes and dreams with great vigor. An event which is looked forward by many with anxiousness is followed as a family tradition in many homes and people from all over the city flock to visit these neighborhood heartfelt lighted homes. 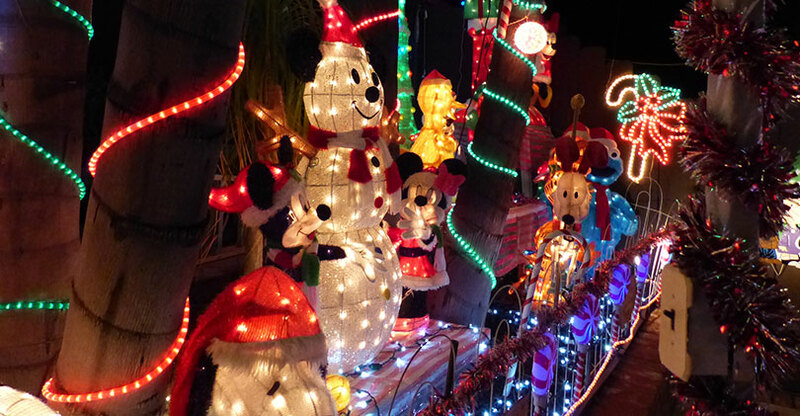 Every year a complete listing of annual domestic light shows with time and dates is available online on reliable sites like San Diego Family Magazine. Few of the most regularly held light events are Belardo Lights at Tierra Santa, Garrison Street, Christmas Card Lane, Jingle Bell Hill and Christmas Circle. Many families form communities and light up the places in a theme lending an air of togetherness and freshness to the festive season. 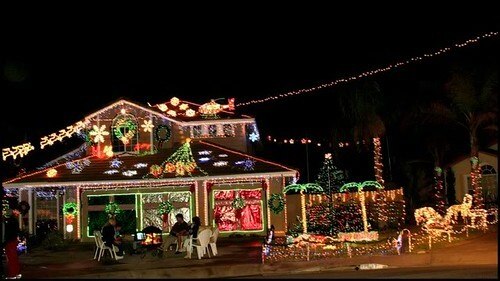 Not only private lighting, this city also hosts a number of commercial light show thoroughly enjoyed by kids. Many families plan day tours to cover major twinkling spots of the city. Numerous boats adorned with beautiful and colorful lights sail across San Diego Bay from Shelter Island to Ferry Landing at Coronado giving a remarkable and breathtaking view of lights on the calm waters. Approximately 100 sailboats and powerboats display outstanding and spectacular view of decorated lights followed by firework show. Catch hold of some of the lovely view points by arriving early. Many decorated fish boats, yachts, sailboats, kayaks make their way in the Oceanside Harbor to cheer up the crowd. The most spectacular view where more than 100,000 lights convert the Botanic Garden of San Diego into the garden of lights is worth a visit. Fun, frolic, festivity, music, warm beverages, snow, Santa and horse driven wagon rides make it a memorable experience of life time. There is no end of this display of lights during Christmas that draws tons of people across the world making it a most happening event of the year.